Rope hammocks are breathable, soft, and innately durable. Big Sale On All ENOs! Unparalleled comfort and softness: Quilted Hammocks feature two layers of fabric sandwiching a cushiony layer of hollowfill fiber. Recline upon a floating ribbon of soft, all-weather fabric. Tropical color, resort level comfort: Caribbean Hammocks and Swings bring the best of the sunny islands to your own yard. Finely-woven, handcrafted hammocks dyed in vibrantly tropical colors. 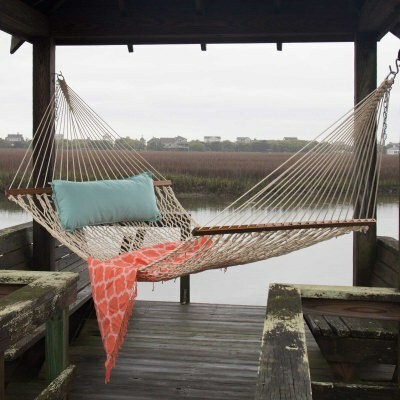 Top-Grade Hammocks, handmade in the USA with free same-day shipping. Affordable comfort: All hammocks priced at $100 or less. These unique Hammock Chairs give a great alternative to normal seating. 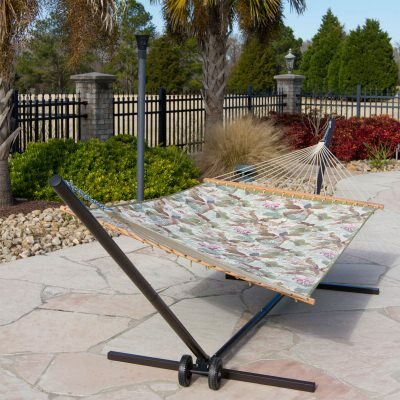 Hang your hammock in style with these hammock stands! Just when you thought it couldn't get better! 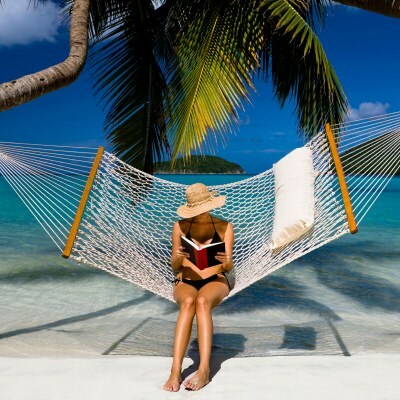 Check out Hammock Accessories here. Take a look through all of our Hammocks, you're sure to find one perfect for you! 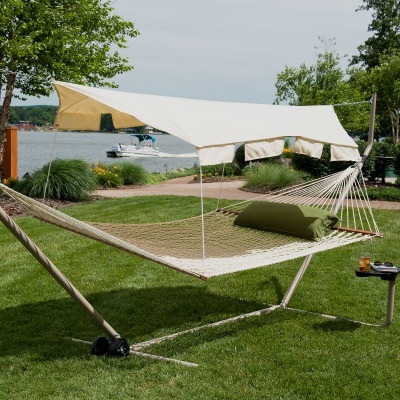 Smaller Hammocks are perfect for a more compact outdoor space. The Classic Standard sized Hammock can go everywhere. A spacious Double Hammock is perfect for you and a friend to relax in. For when you just want to sprawl out and roll around, Extra Wide is the way to go. If you lack trees to hang your hammock, consider one our stands! 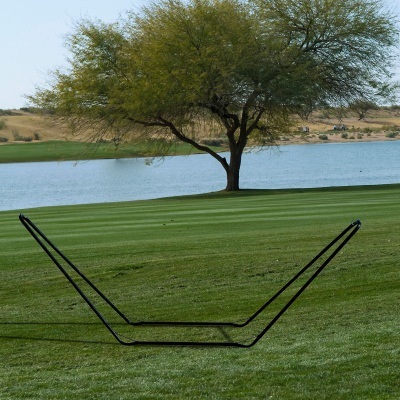 Want some flexibility with where to put up that swing? Swing Stands are the way to go. 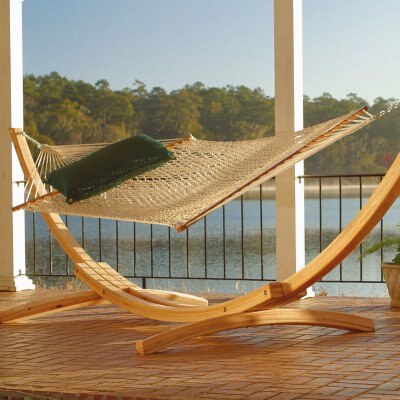 If you happen to want a hammock stand but want a more natural look, browse these Wooden Stands. Take a look through all of our stands for Hammocks and Swings, your sure to find the perfect one for you! 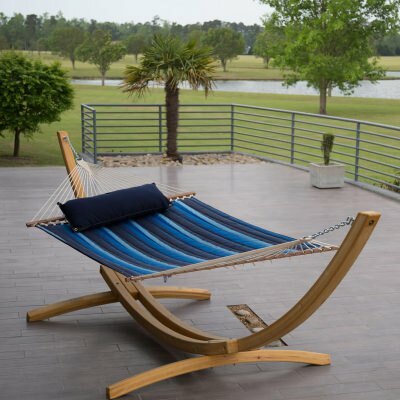 The classic Cotton Rope hammocks can fit into any locale and outdoor setting. 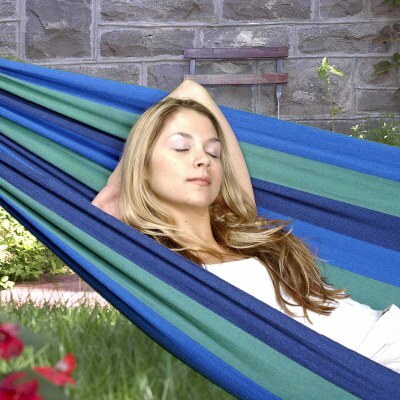 Mold and Mildew Resistant, Polyester is a great longterm outdoor hammock. 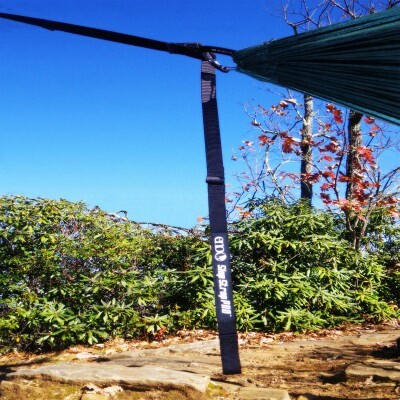 Soft as cotton, strong as fabric, DuraCord Hammocks are excellent anywhere. 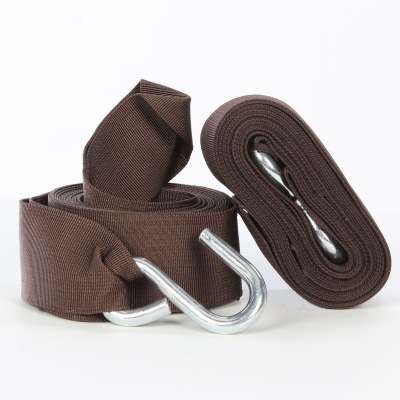 Available in rope and fabric. 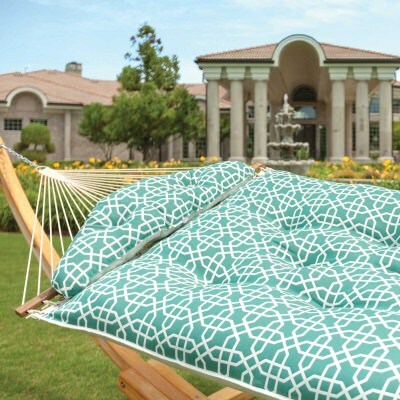 Sunbrella Fabric makes these hammocks as strong and as colorfast as they come. 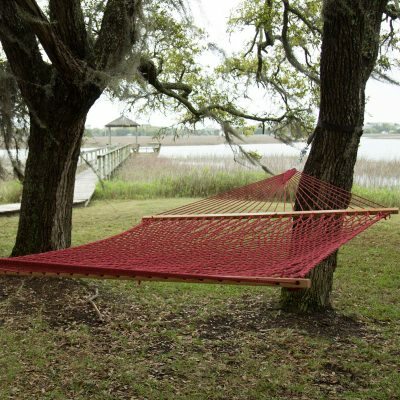 These Solution Dyed Fabric Hammocks give a great option for your outdoor space. 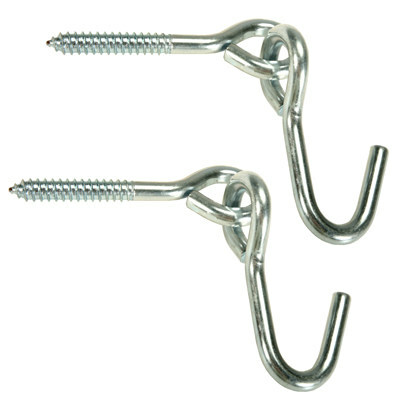 Perfect solutions to all your hammock hanging dilemmas, our Hanging Hardware can you help you out! Two adult trees or two sturdy poles are all you'll require to begin hanging out, thanks to the help of these durable hammock tree straps! 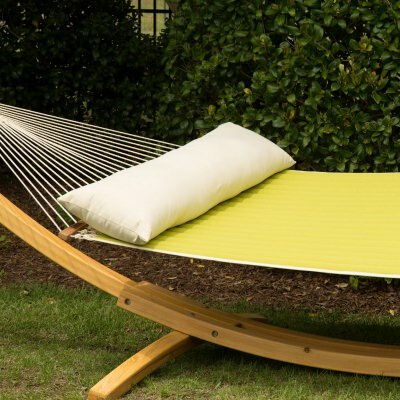 These Hammock Pillows can make an indispensable accessory to your hammock experience outside or indoors. For when things wear out or go missing, this assortment of replacement parts is a good place to start. 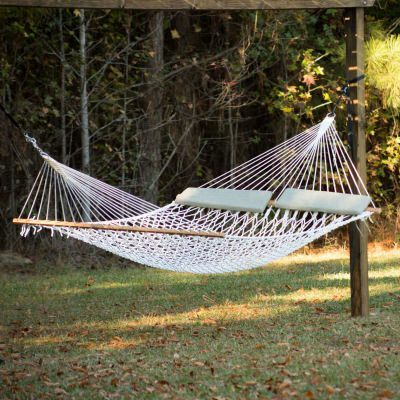 For those little odds and ends to really bring your hammock time together, these Hammock Accessories can do just that. 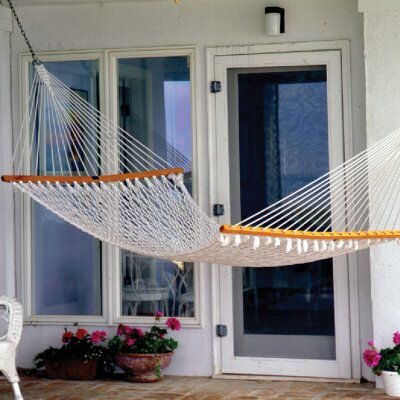 DFOHome began with one handmade hammock. Before we were DFOHome, we were a hammock company. They're what got us started in outdoor relaxation, and remain a major part of what we do. 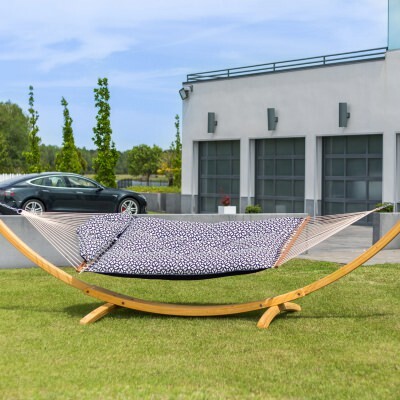 We're unique in that we believe there's a place for a hammock in any outdoor setting, and once you've reclined in one of our premier models, you'll be inclined to agree. 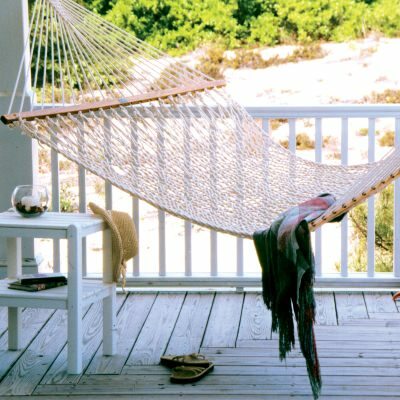 Take a moment to browse our collections -- you'd be surprised at the variety of hammocks we offer! Most are manufactured right here in Greenville, North Carolina. 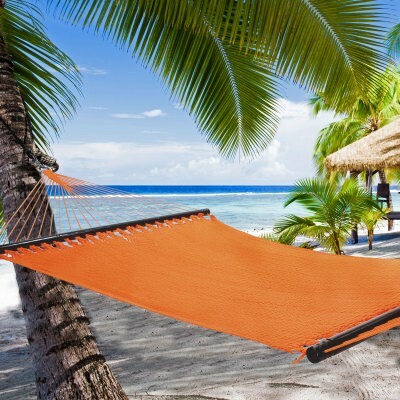 Hammocks are generally composed either of fabric or rope. Quilted hammocks are a special subcategory of fabric hammocks with added cushioning inserted between two layers of fabric. 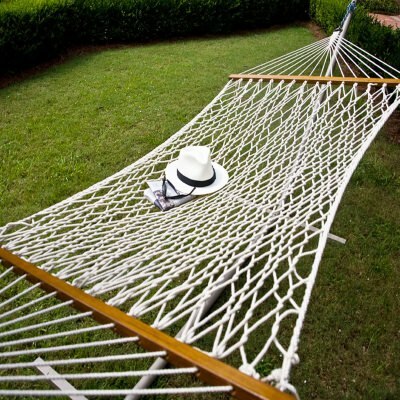 Rope hammocks are available in cotton, polyester, and DuraCord. DuraCord is an exceptional synthetic blend of rope designed to maximize both comfort and durability against the elements. 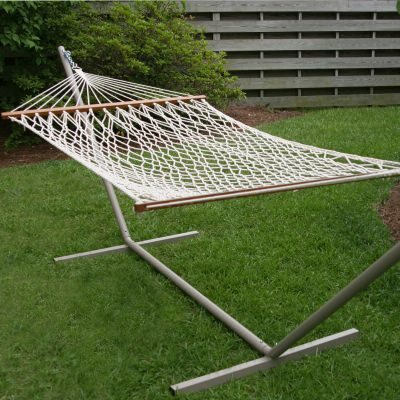 For a unique and refreshing style of hammock without spreader bars, consider South American hammocks.